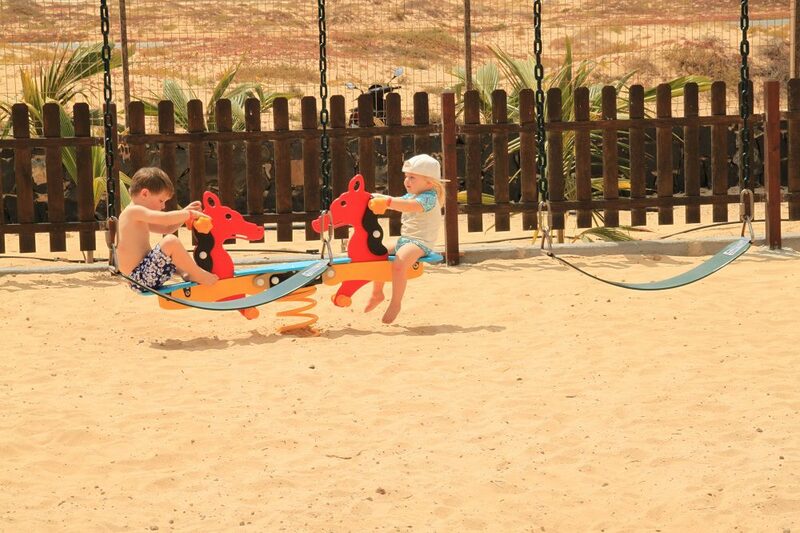 After the plane has landed and the suitcases have rolled from the conveyor belt, the moment has finally arrived: our holiday in Cape Verde with kids is about to begin! Riu Funana is just a 20min drive from the airport in Sal. When we walk into the hotel we’re greeted friendly. We’re checked in swiftly and we notice straight away how happy and friendly Cape Verdeans seem to be. After a brief introduction to our surroundings we receive the well-known “all-inclusive” wristbands and we are escorted to our room. The last time I wore such a wristband dates back 20 years or so, while Kev turns out to be a “wristband virgin” even. It might not come as a surprise to you that the both of us are keen backpackers and “DIY” travellers, but this week we just want to relax; no traveling, no cooking, no cleaning. The all-inclusive concept seems to fit perfectly to our demands and therefore I am curious to see if it will be to our liking. We are lucky to have arrived during lunch time. We have our lunch in the buffet restaurant and I’m pleasantly surprised by the selection! The kids stick to fries and I decide to avoid the discussion seeing as they’ve only slept for about 5 hours last night. 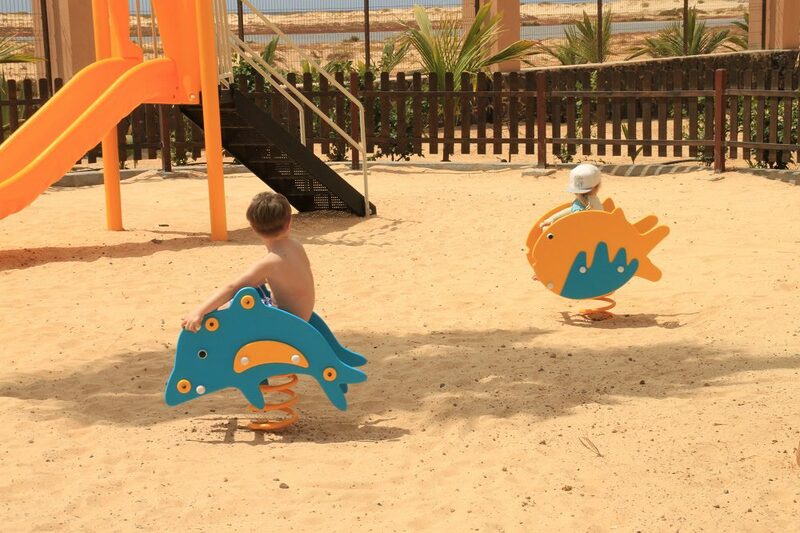 We spend the afternoon at the children’s swimming pool with playground, an ideal combination! 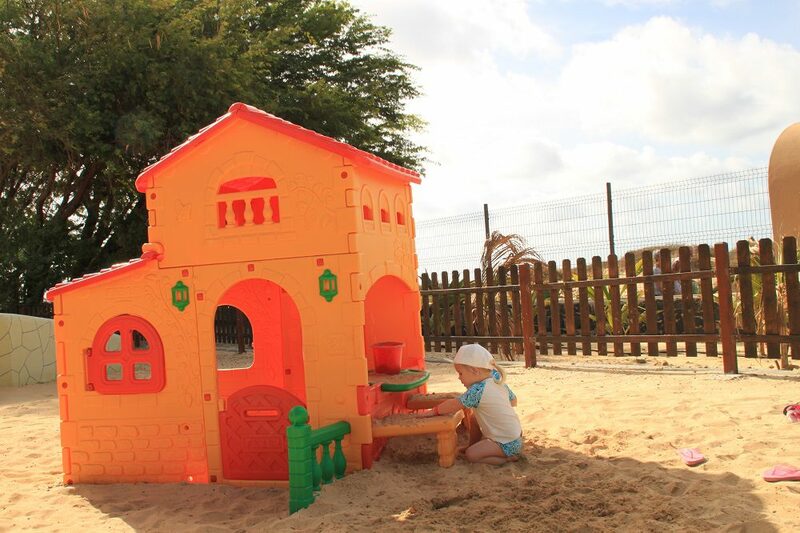 So far this hotel seems like a great choice for visiting Cape Verde with kids. In the evening we go to the buffet restaurant again for dinner. On the way back to our hotel room Lotte falls asleep and I see Flo having trouble staying awake too once we reach the door. The kids share a separate bedroom adjoined to our room, perfect! Kev and I have our privacy and a little peace and quiet while the kids are still nearby. 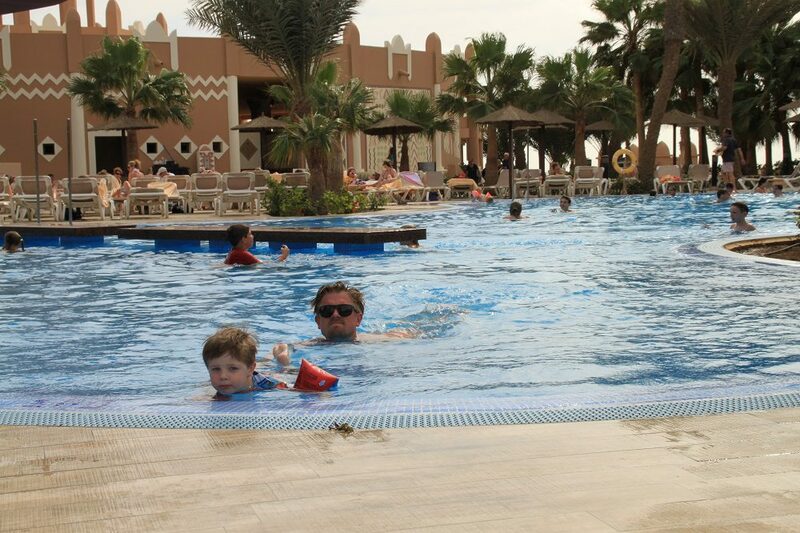 At 19:30 everyone is in bed and I’m already looking forward to our first full day in Cape Verde. I can hear the kids chatting when I carefully open one eye and I glance at my phone to see it’s 6:00 o’clock. That’s 8:00 o’clock Dutch time so technically the kids have slept in 😉 We walk in the sun to the restaurant for breakfast and can’t help thinking how pleasant the change of weather is (25 degrees and sunny) in comparison to back home. Breakfast shows a wide variety in choice too; from hot to cold and healthy to less healthy. On our first day I choose to go healthy, Kev does the opposite of course. After the wonderful breakfast we settle at the pool again and while the kids play we read a book. I’m amazed at how incredibly relaxing this actually is!